At East Coast Toyota, we are part of the Hiring Our Heroes program, supporting military veterans. 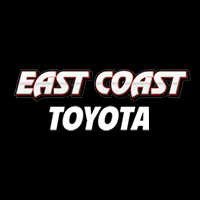 At East Coast Toyota in Wood Ridge, NJ, we are proud to support military veterans and their spouses as they transition from active duty to civilian life. One of the biggest obstacles that veterans face during this time is finding employment, and the Toyota-sponsored Hiring Our Heroes campaign helps them to translate their military skills and experience in to a resume that will assist them in finding a rewarding job that matches their qualifications and interests. Visit www.hireourheroes.org to learn more about the program and to register. This site is a free, easy-to-use tool to help veterans apply for jobs nationwide. JobLinks offers assistance through www.resumeengine.org and www.mycareerspark.org, which help veterans transition from the military to the civilian job market. These are also available to military spouses.